There are an abundance of TVO stars in this latest series, involved both on screen and behind the camera (many of whom have worked on the programme before). There are episodes written by Tony Way, Nico Tatarowicz, Alex Kirk and Kevin Eldon, as well as performances from Bob Mortimer, Steve Oram, Ellie White, Nicholas Burns and Gareth Tunley. The first episode in the series, entitled A Close Slave, is written by Tony Way. Dara O’Briain narrates the story of a playwright in ancient Rome (played by Nicholas Burns), who is aided by his helpful slave when suffering from a particularly troublesome bout of writer’s block. Way presents viewers with an interesting blend of uneasy politics and delightful silliness, with the addition of various pieces of historical trivia on top. The drama levels are high as there is certainly a lot for our young protagonist to lose here. But as long as he writes the perfect ending, everything should go smoothly, right? Living With A Lie, written by Nico Tatarowicz and performed by Sheridan Smith, follows the turbulent experiences of office worker Russell as he struggles to write his first novel. This story is one of lies and false impressions, with Russell’s fictional and genuinely sinister ‘Aunt Janet’ making an unwelcome appearance across all aspects of his personal and professional life. The writing in this episode is particularly beautiful, with Tatarowicz’s use of metaphor making for poetic storytelling; the kind of writing that inspires others to write. And not only this, Steve Oram stars as Russell’s unsupportive manager Phil. This is definitely a highlight of the new series. Bob Mortimer narrates the third episode in the series, Arnold Widdowson’s The Despot Of Tea, and his trademark matter-of-fact delivery shines through in this tale of Geoff, who becomes an unintentional propaganda icon when his acting career takes a surprise turn. This somewhat uneasy tale follows Geoff as he travels to a former Soviet state for of an acting job, only to find out that he has been recruited by the country’s president Alexei (Gareth Tunley) to get the nation’s people back on side. If this twisting thrill-ride of a story wasn’t enough for you, it’s worth watching just to hear Mortimer say Sir Slurpington-Boots. The Frankenstein-esque The Survivor is a delightfully unsettling piece of television. Written by Alex Kirk and narrated by Anna Friel, this tale recounts the difficult discoveries made by Thomas who awakes in a strange house in the middle of the countryside to the news that his parents have died. He is bed-bound and helpless, pined over more like a family pet than a patient. Thomas continues to make shocking discoveries that keep viewers on their toes, chilling us to the bone as each new revelation comes to light. Nothing is as it seems in the warped, dystopian world Thomas finds himself in. And finally, as far as TVO is concerned, is the final episode in the series: Pickled, written by Kevin Eldon and narrated by Miriam Margolyes. This tale begins with a close look at Benedict, a man who goes from riches to rags as his extravagant lifestyle catches up with him. Benedict’s life is in tatters around him, entirely of his own doing. Add a haunted house to the mix and it looks likes things aren’t going to be looking up anytime soon for our poor protagonist. 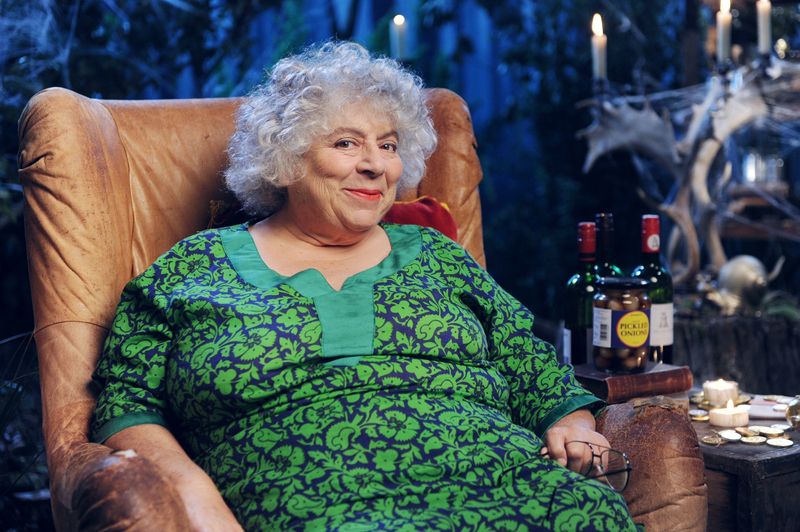 Margolyes’ storytelling is fantastic and dramatic here; perfect for portraying the tense relationship that develops between Benedict and the ghostly old man he meets in the abandoned house. In addition to the TVO faces on the writing and narrating side, Ellie White pops up as the social recluse Greta in episode five: Proxy Lady, Nico Tatarowicz stars as Mitch in episode six: Devil’s Haircut and Alex Kirk as Copper in episode seven: The Disappearance. As ever, the magnificent Waen Shepherd also composed all of the music for the series. So that’s plenty to sink your teeth into! 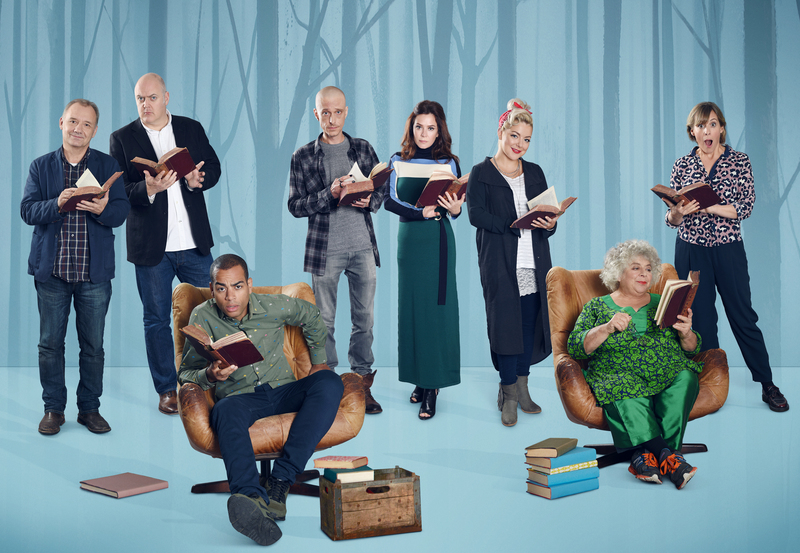 Crackanory series 4 airs from Monday 30th January at 10pm on Dave. Episode 1 can be previewed now via UKTV Play.